Velma Jean Carr Elizer, born November 19, 1929 and passed away January 25, 2019 at her home. She is preceded in death by her husband, Allen Gray (Spud) Elizer, parents, Homer and Gertie Kizer Carr, brother James Edward (Ed) Carr and Betsy and Eli her beloved Border Collies. She is survived by her three children, Sarah (John) Ezell, John Allen (Jan McCloud fiancé) Elizer, and Ann (Dale) Ford, all of Hendersonville, TN. Her grandchildren, Michael (Ashley) Elizer, David (Christy) Elizer, Julie Ford (Stephen) Thompson, Thomas (DeAnn) Killion, Eric (Brandy) Elizer, and Michael Ezell. She has ten great-grandchildren and six great-great-grandchildren; Aunt Anna Elizabeth Kizer and cousin Loreece Linebough. The Lord told us he prepared a place for us and where He is, we can be also. A special place where we won’t worry or be sick or shed tears. How wonderful Heaven must be. Born November 19, 1929 near Goodlettsville in Sumner County. United with Beech Cumberland Presbyterian Church on Profession of Faith on September 30, 1945. 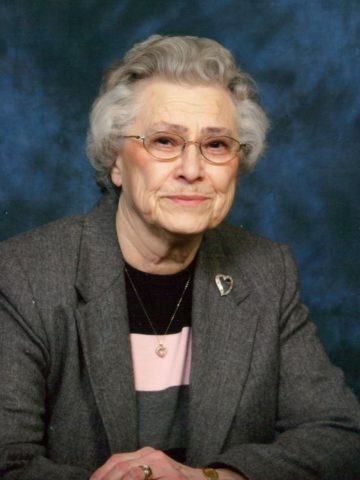 She was educated in Sumner County Schools graduating from Gallatin High School in 1947. Married Allen Elizer on September 20, 1947. A very active member of Beech Cumberland Presbyterian church for over 73 years. A member of Maude Clinard Missionary Society and served as president. Taught Sunday School, worked in Vacation Bible School and was a member of the Emma Elizer Sunday School Class. A member of Beech Quilters. Also active in P.T.A. when her children were in school and served as president. She enjoyed writing poetry, and playing rook with friends, and later a member of a rook playing group known as the Rookett’s. She lived to be an example to her children and family.